The Dravida Munnetra Kazhagam might have been pushed into a corner to come up with a prohibition policy of its own if only to create the right atmosphere for talking about an Opposition coalition in the state but it is unlikely that Jayalalithaa will cede the space to him, says N Sathiya Moorthy. Former Tamil Nadu chief minister M Karunanidhi’s statement that if voted to power, the state government would make ‘serious efforts’ to bring back prohibition can cut both ways. It can still provide the one unifying factor that the ego-tainted, divided Opposition in the state has been looking for to give a collective fight to the ruling All India Anna Dravida Munnetra Kazhagam and Chief Minister Jayalalithaa in the assembly elections due by May 2016. But it can also help Jaya outsmart them all if she were to announce a new prohibition policy -- say, to commence on Gandhi Jayanthi -- and leave the Opposition with no cause to be together to fight her. It could make even greater political sense if Jaya were to combine the prohibition policy -- even if a staggered one at that, as was attempted by mentor-predecessor M G Ramachandran once -- with a successful ‘Global Investors Meet’ scheduled for September, and order early polls to the state assembly. Efforts to make the investors meet effective hinge as much on the electoral calculus as on the need to attract FDI, big-time. A twist could become possible if the ruling AIADMK were to list out the additional revenues that such big-ticket investments could bring in, to offset the revenue loss caused by the reintroduction of prohibition. In such a scenario, the promise of manufacturing jobs in their thousands by attracting big-ticket FDI would become an electoral bonus. Prohibition would have become the mainstay of the ruling party’s main campaign-platform, with women voters even otherwise still having a soft-corner for ‘Amma’. It’s anybody’s guess if the AIADMK would strategise that way, but it cannot be ruled out either. At least, the Dravida Munnetra Kazhagam and the rest would have evaluated their projected political/electoral ‘loss’ if the ruling party were to do so, before coming out with their own positions. For now, however, the DMK might have been pushed into a corner to come up with a prohibition policy of its own months ahead of the scheduled polls if only to create the right atmosphere for talking about an Opposition coalition. They all know that the AIADMK looks invincible in the common man’s eye just now, without a combined Opposition. They needed a common thread to stand on the same electoral platform(s), and prohibition provided the missing link. For the DMK, delaying a policy of the kind, to include it only in the party’s poll manifesto, could have proved to be too little, too late. One, parties come out with election manifestos closer to poll-time. The DMK has invariably launched its poll campaign with a manifesto. By then, poll alliances would have been firmed up, and prohibition as the ‘unifying force’ might not be available to the DMK leadership if it did not make its stand clear early on. 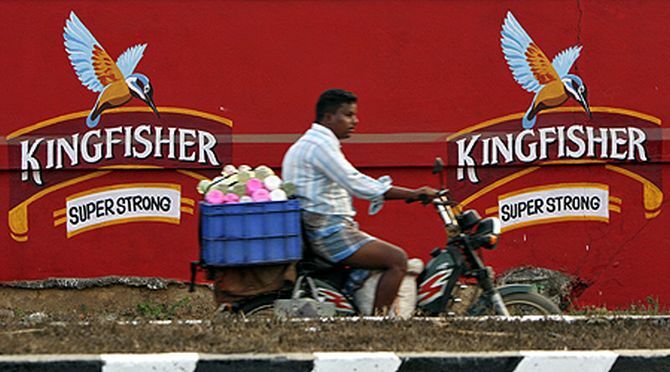 Tamil Nadu is possibly the only state in the country where the government has monopolised retail trade in liquor. TASMAC, the public sector liquor store chain, rakes in a third of all state government revenues ever since the Jayalalithaa government nationalised/monopolised all retail trade in liquor when in power in 2001-06. The successor DMK government followed suit. The party thus would have explanations to offer if it were to come up with a prohibition policy closer to the polls. The DMK as a party and Karunanidhi as its leader would have even more explanations to extend, if and when reminded by the grey-generation voters that it was they who, while in power, had withdrawn prohibition in the early '70s. As the folklore over the issue goes, an ageing Rajaji (Chakravarti Rajagopalachari) had driven down to Karunanidhi’s residence in pouring rain to plead with him to not lift the liquor sale ban. It was not without a personal touch. In the pre-Independence era, Rajaji as the ‘prime minister’ of the Madras Presidency (1937-39) had introduced prohibition for the first time in the country, starting with his native, undivided Salem district, now in Tamil Nadu. The post-Independence Congress governments, of which Rajaji did a stint as chief minister (1952-54), followed suit. Despite heavy pressure on the state’s finances, they refused to budge. During his short stint as chief minister, DMK founder, the late C N Annadurai (197-69) followed the prohibition policy of the predecessor Congress governments. Having taken ill early on, Annadurai might not have had enough time to review the prohibition policy of the state, among others. In his time, 'prime minister' Rajaji introduced ‘sales tax’, for the first time in the world, to help offset the revenue loss caused by his prohibition policy, which in turn was close to the heart of Mahatma Gandhi. In Jaya’s time, taking over liquor retail sales was aimed at plugging the revenue leaks and at the same time ensure that spurious liquor did not flood the state, causing deaths and destruction of homes. Along with nationalisation of liquor retail trade, the Jaya government had also taken over sand-quarrying in a big way. Again, the aim was to plug loopholes on the revenue side. Both the AIADMK government and the DMK predecessor/successor had counted on such revenues and also on FDI-driven revenues to implement their populist ‘subsidy schemes’ of free TV, free cooking gas connections, and free rice for the poor. Thus, any additional revenues that the investor meet could facilitate could go a long way in bolstering, not only TN's revenues but also the big-ticket ‘welfare schemes’ promised by the party in power or that which wants to replace the same. Independent of the social media jumping on to the prohibition bandwagon, and long before it, Paattali Makkal Katchi founder Ramadoss had started the campaign. His son and party’s chief ministerial hopeful, Anbumani, too, has been vehement over liquor tragedies from political platforms. To Anbumani should go the credit of mandating super-imposed footnotes on and ahead of scenes depicting smoking and liquor-consumption on the film/TV screen when he was Union health minister. Marumalarchi Dravida Munnetra Kazhagam’s Vaiko had undertaken a padyatra, demanding liquor-ban not very long ago. 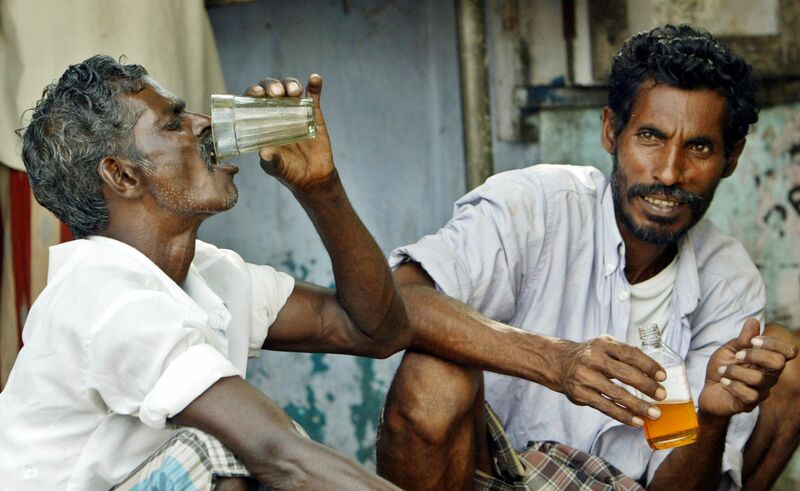 ‘Naam Thamizhar Katchi’ followers of filmmaker politician, Seeman, had raided a liquor shop after the two recent episodes, to drive home their leader’s demand. Desiya Murpokku Dravida Kazhagam’s Vijaykanth has not been left alone either. For the Congress, still hoping for a revived electoral alliance with the DMK, prohibition would have been a god-sent opportunity. No other party could lay greater claims to prohibition than the Congress -- and Rajaji’s native Tamil Nadu. N Sathiya Moorthy is director, Observer Research Foundation of the Chennai Chapter.